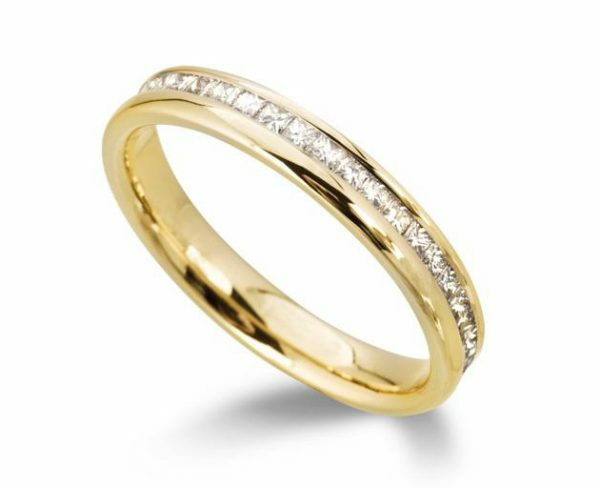 Handmade diamond eternity ring with princess cut diamonds in a 3.5mm band. 0.78 – 1.06ct. These stunning eternity rings feature 1.25mm princess cut diamonds set in 18ct yellow gold. Prices vary with finger size, please contact us for a quote (list price based on size M). Also available in white gold or platinum.